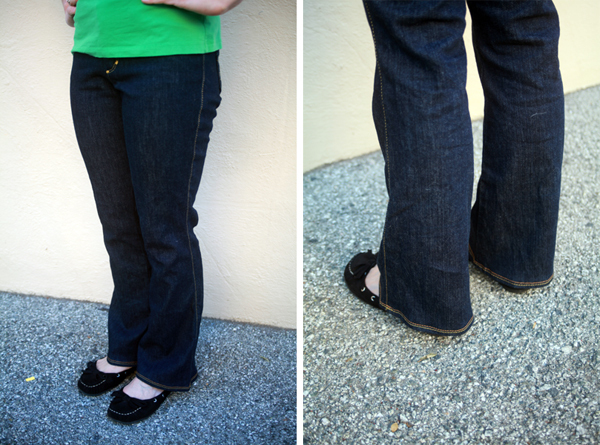 A little over a year ago after first watching Kenneth D. King’s Jean-ius class on Craftsy, I promised my good friend that I’d copy her one pair of fancy designer jeans for her. 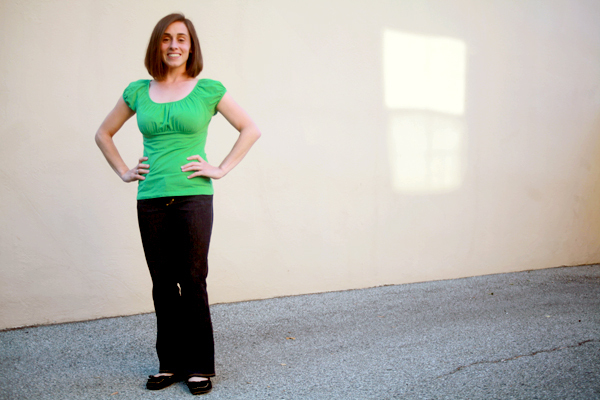 She’s 4’10″, and a good fitting pair of jeans are hard to come by. She can’t just hem longer jeans since the knees end up too low. She actually had to special order her one pair and still have them hemmed. Then months and months passed as work and other projects got in the way. Finally, around the beginning of this year, I was determined to get moving on the project since I wanted to complete the jeans before moving to Seattle. We sat down together and looked over Mood Fabric’s extensive collection of denim. We were both drawn to a navy denim by the designer Theory that promised to be a “soft cotton denim with a subtle stretch”. And, that description did not disappoint! It was both incredibly soft and plenty stretchy. It was perfect for a comfy pair of “designer” jeans! Week by week over the past few months, I’ve been working my way through the Jean-ius Craftsy class. 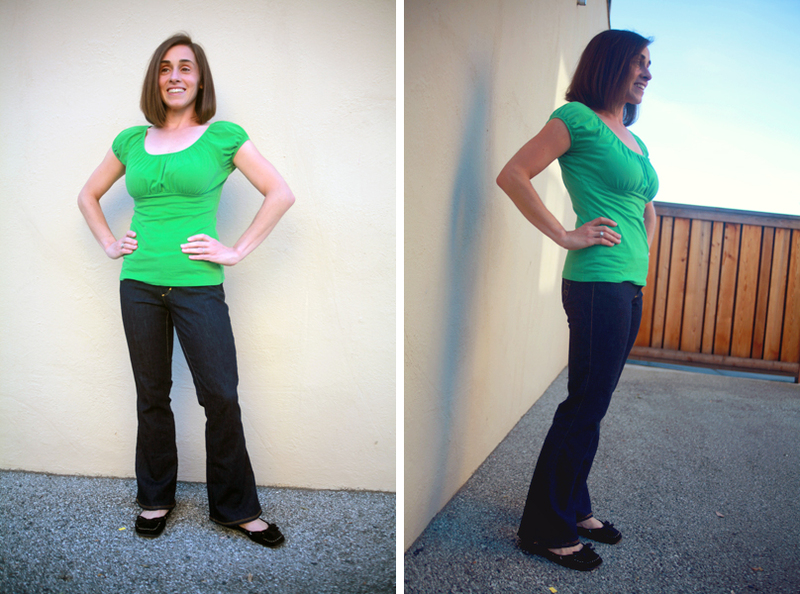 I developed a pattern using her favorite ready-to-wear jeans using Kenneth D. King’s lessons and then basically launched right into the making of the jeans, also using guidance from the class. My attempt at a muslin was pretty much a failure since I used a non-stretch cotton muslin. It only told me how to adjust the side seam so that it would fall perfectly vertical down her leg; it was too tight to pull any other information from it. But, I figured that the fact that she could squeeze into the pattern when it was made from a non-stretch fabric meant that the “subtle stretch” in the Theory denim would make all the difference. Working with this denim wasn’t hard at all. It’s a light-weight denim, and my machine didn’t have a problem with it at all. With some denims I’ve used in the past, I’ve ended up with sore arms from using my hand wheel through a large portion of sewing because of how unruly the denim was – not so here! And, the stretch was just what the pattern needed! I couldn’t believe it when the fit was pretty good right off the bat. I guess I should have expected it since I’d copied a pair of her jeans, after all! This post can also be found on Mood Sewing Network. I used my MSN allowance towards the purchase of the fabric. If you’re interested in taking this class yourself, follow this link for 40% off Jean-ius: Reverse Engineer Your Favorite Fit with Kenneth D. King. Yay!! These look great! Your friend must be so pleased! I’m definitely thinking of doing this class so I can make a pair of jeans for my husband too! Great job! Your friend looks so happy with the result and she should be as they are fantastic! Those jeans look great. I keep thinking about taking this class as I would love to copy my beloved Wranglers Ultimate Riding Jeans. super cute, I am getting sooo close to giving jeans a try. thanks for all the great posts. the fit is fantastic and the details look perfect. It looks like they fit your friend very well! She looks happy 🙂 Great job! You are such a GOOD friend!! These look great and she looks so happy. Oh wow – those look fantastic. Your stitching is perfect. I have that course, but haven’t watched it yet. 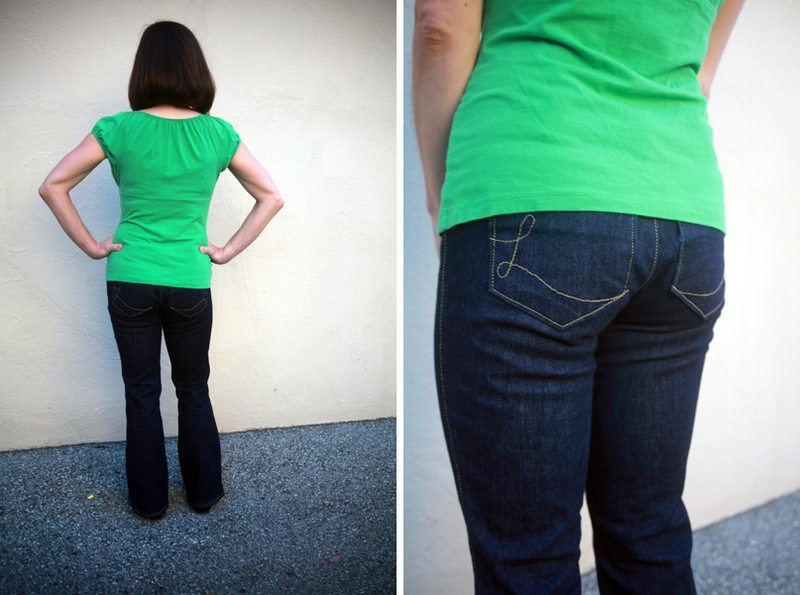 I recently bought a pair of inexpensive jeans that fit horribly – I should just put that money towards good fabric! I’m a third of the way through this course at the moment and loving every minute of it! 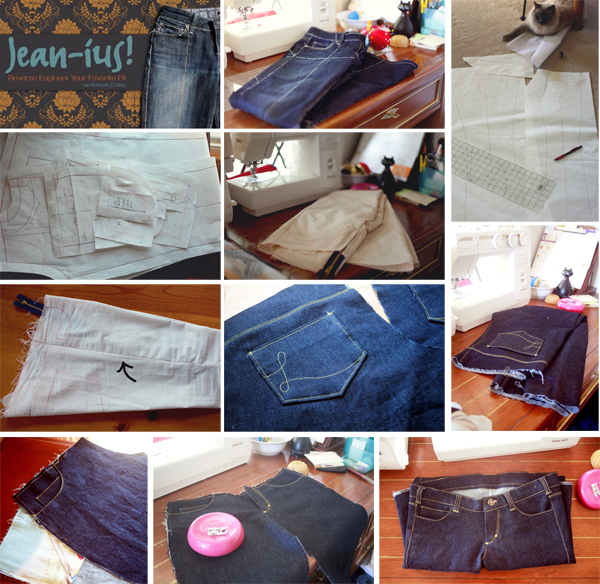 My only problem now is finding the right denim to sew it up with… your selfless sewing here has turned out wonderfully! She looks well pleased, and they fit nicely too! Wow! What a great fit. I would never guess from the pictures that she is under 5 feet because the jean proportions are perfect. Wow! I’ve never even thought of trying to sew jeans….impressive! You did a great job! I’ve been so looking forward to the big reveal of these jeans and it did not disappoint. You’ve done an amazing job for a very lucky friend. How lovely that she now has these gorgeous jeans when it’s so hard for her to find a properly fitting pair in the shops. Fabulous! Wow! These are absolutely fantastic, Amy! What a kind and generous gift! As always, an outstanding creation on your part (you always find the answer). Congratulations of your migration north – such a conducive city for creativity. Now before you go, please answer me this; when will Kenneth D. King be on our currency??? WHEN?? They are beautiful jeans and you are a wonderful friend. She looks delighted, and rightly so. Those look awesome and very classic. Also, what a great fit.